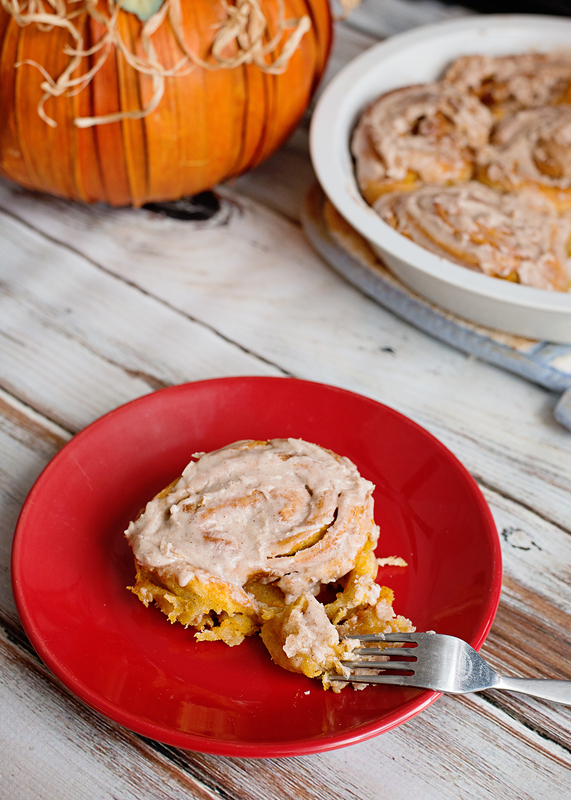 Pumpkin Pie Cinnamon Rolls - A Thanksgiving Breakfast Tradition! Seems like summer is just ending, but the holiday season is already here! It seems that within the blink of an eye the shorts, tank tops, and flip-flops were replaced with jeans, long sleeve tops and boots. The hot summer days were replaced with cool nights and lots of warm refreshing drinks like hot chocolate and apple cider. The smells, the feel, and the scenery all add to the holiday effect! These are the things that make it my favorite time of year. The best part of the holidays, hands down, is tradition. It’s funny how you grow up doing things one way, and can’t imagine doing them any different. When you get married and have children, however, that’s when the real fun begins. Not only can you begin to change your traditions to incorporate those of your spouse… you can also make up completely new traditions as well. We love making new traditions with the kids, that they’ll remember well into their adulthood. One of the big traditions that I tweaked to make our own is Thanksgiving breakfast. Since Thanksgiving dinner is such an elaborate, all day affair… it’s important that breakfast be something quick and easy to but together. We love cinnamon rolls, so I decided to incorporate Pillsbury into our breakfast this Thanksgiving morning! 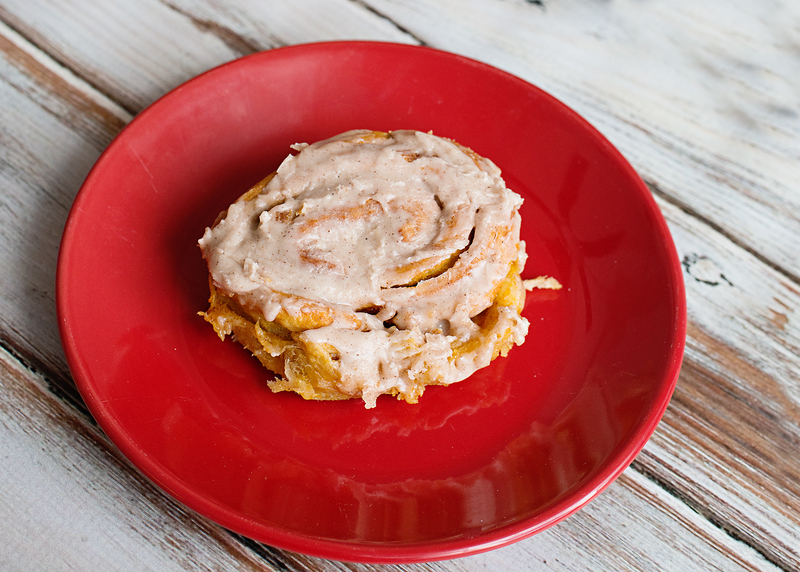 These aren’t just any cinnamon rolls either… I’ve added my own twist that is perfect for the holiday: Pumpkin Pie cinnamon rolls! So easy, and super delicious! 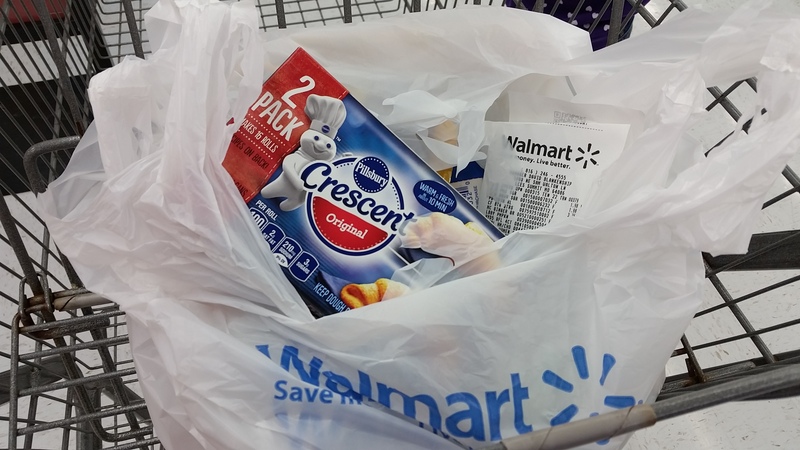 I just grabbed a can of Pillsbury Crescent Rolls from Walmart ( a nifty shortcut for the dough) and whip up a yummy filling of pumpkin spice, brown sugar, sugar and butter! 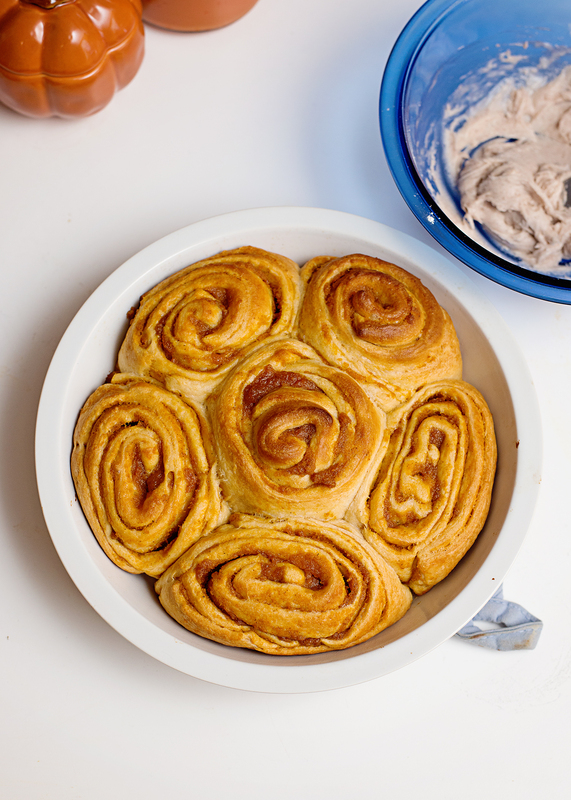 Unroll the crescent roll dough onto your countertop. Pinch together all of the seams, making one big sheet of dough. In a medium sized bowl, whisk together the pumpkin, butter, sugars and spices. 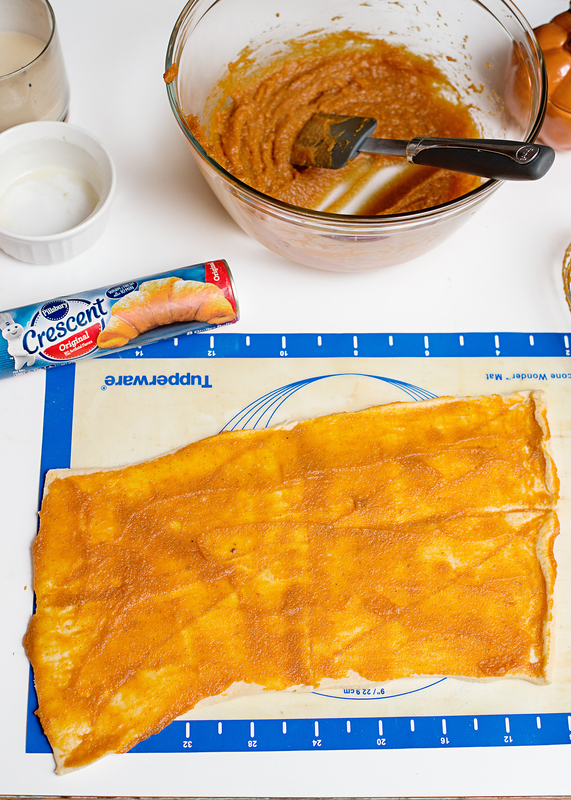 Spread a thin layer of the filling onto the crescent roll dough. Unroll the second sheet of crescent rolls and layer it on top of your first sheet. Like a lasagna, add another thin layer of the filling on top. From one of the short ends, roll the dough up into a log and cut into 6-7 even slices. Place into a 8 or 9 inch pan that has been sprayed with a cooking spray. Cook at 350 degrees for about 40-45 minutes. While cooking, mix together the icing ingredients in a small bowl. 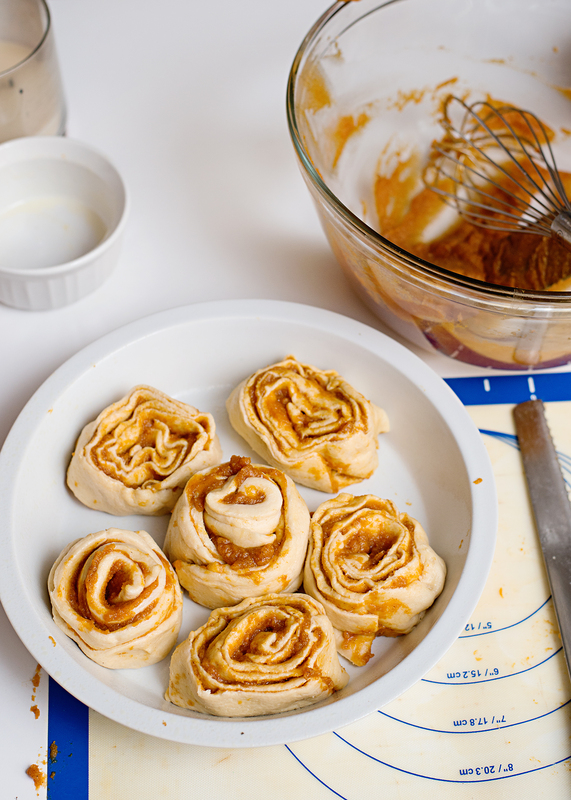 When the cinnamon rolls are done baking, allow to cool for 5 minutes and spread the frosting evenly across the tops. One of our favorite recipes now has a unique spin that makes it the perfect new Thanksgiving morning tradition! What’s your favorite holiday tradition? Share in the comments below! ← Ghostly Pudding Cups Dessert – Fun DIY with Kids!